Special Smart ForTwo gets unique trim created by a Danish interior decorating company. 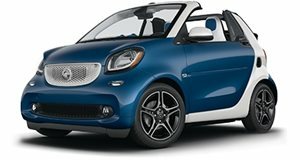 If it seems like Daimler’s Smart division never stops unveiling special editions of its city car, that’s probably because it is. This latest one is a joint collaboration with Danish furniture company BoDesign. The unique Smart ForTwo BoConcept is based on the convertible version, and is upgraded with a matte white paintjob with contrasting metallic brown "safety cell" frame and mirrors plus Brabus Monoblock VII alloys. The interior has been decked out by BoDesign with tobacco-brown leather and lemon-yellow accents.